The Sheffield office of national law firm, Irwin Mitchell, has announced that it has appointed leading employment partner Kirsty Ayre to its business legal services (BLS) team. Kirsty who moves to Irwin Mitchell from Pinsent Masons is the fifth new Partner to be announced by the firm’s business division since the beginning of 2015. Joining a team of 50 qualified employment law specialists, Kirsty specialises in handling both contentious and non-contentious work. She is an experienced tribunal advocate and advises on corporate transactions, restructuring and strategic HR issues for clients across the public and private sectors. Kirsty has a particular expertise in the financial services sector, having worked closely with some of the UK’s leading banks and insurance companies. Irwin Mitchell’s nationwide employment team specialises in protecting businesses against all kinds of staff and restructuring issues including employment law, tax, employee benefits and business immigration. “Kirsty is a superb addition to our national employment team. 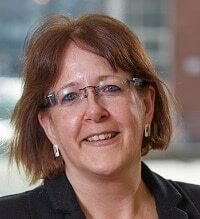 She is highly respected in her field and also someone who complements our broader business offering across Sheffield and the Yorkshire region. Other Partners to be announced by Irwin Mitchell’s BLS team so far this year are Simon Griffiths, who joins the London office as national head of equity capital markets. In Birmingham, the firm has announced the arrival of restructuring & insolvency partner, Stephen George, real estate partner Ben Acheson and commercial litigation partner, Simon Ellis.